Have 2 Cub Cadet 1440 Garden Tractors. Have more to mow now so I found this at a car/tractor/trailer dealer down the road. He let me use it to mow. It is the perfect size for my needs. 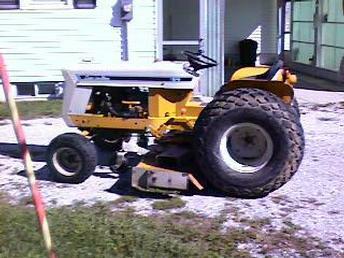 It runs good, mows great, and is in good condition. When I submitted the top picture, I did not know what year, or anything about this tractor. Since then I did a lot of reading in the archives and learned a lot about this tractor.